Health Care LA, IPA (HCLA IPA) has many, convenient network health center locations throughout Los Angeles County. That makes it easy to find quality care in your neighborhood from providers who understand your language and culture. We also offer language assistance programs to make sure our members always feel comfortable, safe and heard. Your health center should be the first place you turn to for quality care and answers to all your health questions and concerns. The physicians, providers and office staff at our network health centers are all dedicated to providing you quality care and service. We all work together to help you and your family enjoy healthy lives. We understand that healthcare can be confusing. You can depend on our health centers to help guide your care in the right direction. They offer programs that make it easier for you and your family stay healthy. Our care network is big and getting bigger. When you need a primary care provider, specialist or urgent care center, we offer many convenient options to choose from. Enrolling as a member with HCLA IPA is simple. Check if your health plan and product is contracted with HCLA IPA. Choose a physician or health center in our network. A representative can help you walk through the sign-up process with your health plan. HCLA IPA works with many different managed care health plans (including Medi-Cal, Medicare Advantage, Covered California and Commercial) to help you and your families find the care and coverage you need all in one place. Having more health plan choices makes it easier to stay with the health center you know and trust if your insurance ever changes. Our resources page is a menu of useful links for healthcare, wellness and illness-prevention. Below are some of the most popular links, or you can click the button below for the whole list. How does Health Care LA, IPA (HCLA IPA) interact with my Health Plan? HCLA IPA represents your physicians and health centers. We contract with federally qualified health centers, community clinics, rural health centers and some private physicians throughout Los Angeles County. Your health plan (for example Anthem Blue Cross, Care 1st, Health Net, LA Care and Molina) requires you to choose a primary care physician (PCP) or health center. You’ve chosen a PCP with HCLA IPA. Your PCP and HCLA IPA will be coordinating all of your care, using our specialty and hospital networks. Your health plan determines your benefits, for example your co-payment amount when you see a physician or go to an emergency room. If you have your insurance through your employer, your employer and insurance company work together to determine what your monthly premium will be and the premium is paid directly to your insurance company by you or your employer. 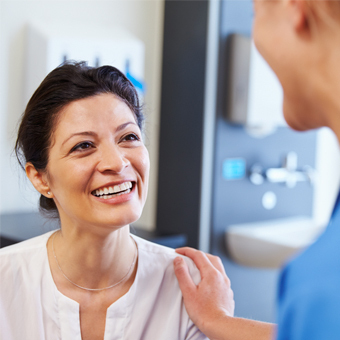 What is the role of my Primary Care Physician (PCP) and health center? Your primary care physician and/or health center (PCP) is always the first place you should contact when you have a medical condition requiring attention. If you think you have the flu, phone your PCP. If you have knee pain, phone your PCP. Your PCP will most likely want to see you before determining if you should be referred to a specialist for a specific condition. The only exception to this is if you feel you are experiencing a life threatening emergency – for example sudden onset of chest pain. If this should occur, you should always phone 911 or go to the nearest emergency room. Go to the tab on our Website to review a list of our preferred hospitals and urgent care centers. Scheduling an Annual Health Exam for you and your family is very important. This visit it is a good time review your medical concerns with your provider. It allows you to meet and put a face to the person and organization that you and your family will utilize for all your future healthcare needs. This is also an important health benefit that your health plan encourages and provides to you. So please take advantage of this service! Your PCP will submit an authorization request to HCLA IPA. We will then determine which of our specialists is the most appropriate for your care. You will then receive an authorization in the mail. Routine authorization requests are reviewed and completed within 5 working days. If your PCP advises us that the request is urgent, the review will be completed within 2 working days. If the request is urgent, you will be notified as soon as possible but within 24 hours. Remember – in order for a claim to be paid, you must have an authorization for the service. HCLA IPA does offer services, called self-referral, that do not require an authorization as long as you self-refer to a participating specialist. These services include gynecological consultations, well woman exams and OB care – first visits. We also offer several direct referral services. This means that your PCP is able to send you directly to a HCLA IPA contracted specialist for additional services. Not all plans or services require a co-payment, but when they do, all co-payments are made to the provider of service at the time services are received. Remember, your insurance company determines your co-payment amount. This rate is not established by your physician or HCLA IPA. If you have received an authorization for services or if you have self-referred for a service that does not require authorization, like gynecological consultations, well woman exams or first visits for OB care, you should not receive a bill. There are times when labs or radiology departments may send their patients a bill because they did not get complete information at the time of service. Whenever you receive a bill or statement please phone our Customer Service Department. We do not want you paying something that could have been sent to you due to clerical error. Upon your return home, be sure to contact your primary care physician (PCP) or health center provider to advise them of your illness while away from home. It’s important that your medical records are updated and if you should need to receive continued care for the condition, your PCP will be the one coordinating any care you need. Your health center may also call you to schedule a follow up visit with a provider to review your current health care needs. What if I am hospitalized, or someone from my family is? If you are admitted to a hospital, an inpatient team of physicians called Hospitalists will be managing your care in conjunction with specialists, and your primary physician who will be notified and informed of the care you are receiving. Upon discharge, you will be notified to arrange a follow up appointment with your PCP. If other specialist visits are required, or supplies needed in your home, the HCLA IPA team of inpatient case managers will be coordinating your specific needs. We do want to assist each and every member in every way possible. If you have any questions and/or concerns, do not hesitate to contact our Customer Service Department at (818) 702-0100 any time between the hours of 09:00 a.m. and 05:00 p.m. Monday through Friday. Appeals: If you are not satisfied about a decision regarding the denial of services or payment. Please refer to the Evidence of Coverage (EOC) provided by your health plan for detailed instructions on how to file an appeal. Or, you can call your health plan directly. Grievances: If you are dissatisfied with Health Care LA, IPA and/or any of its providers, including quality of care concerns, please contact your health plan and file a formal grievance. Health Care LA, IPA strives for excellence in healthcare and will work closely with your health plan to ensure the highest quality of care and strive to meet your satisfaction. If you have any further questions, you may contact our Customer Service Department.